My newest finished artwork is one I have been working on for a while now, since before Christmas. The texture, colors, and mixed media are all things I’m happy with. 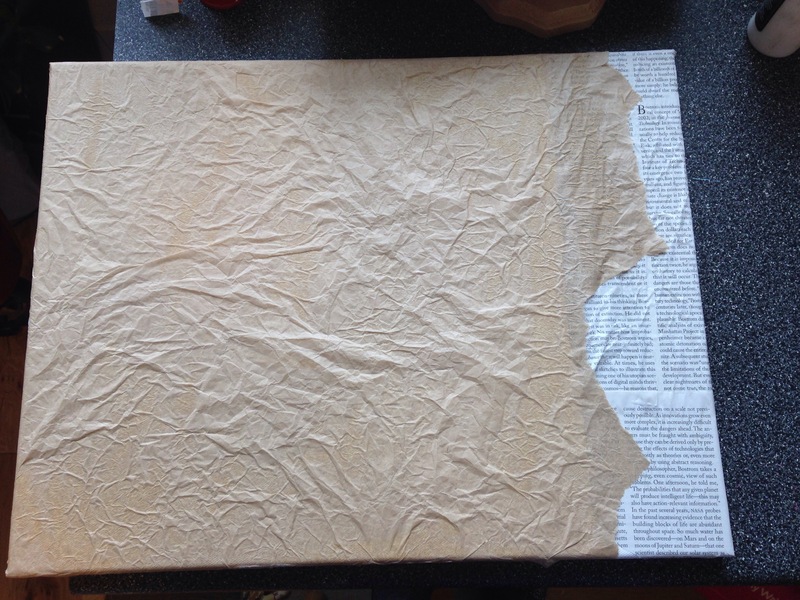 I started with a simple canvas and some collage materials. The top of the canvas is magazine pages. I discovered the best all-around craft and art adhesive a couple of years ago – Lineco Neutral pH Adhesive and will never go back to any other adhesive again. It dries smooth, it is pH neutral, permanent, and not at all gooey! 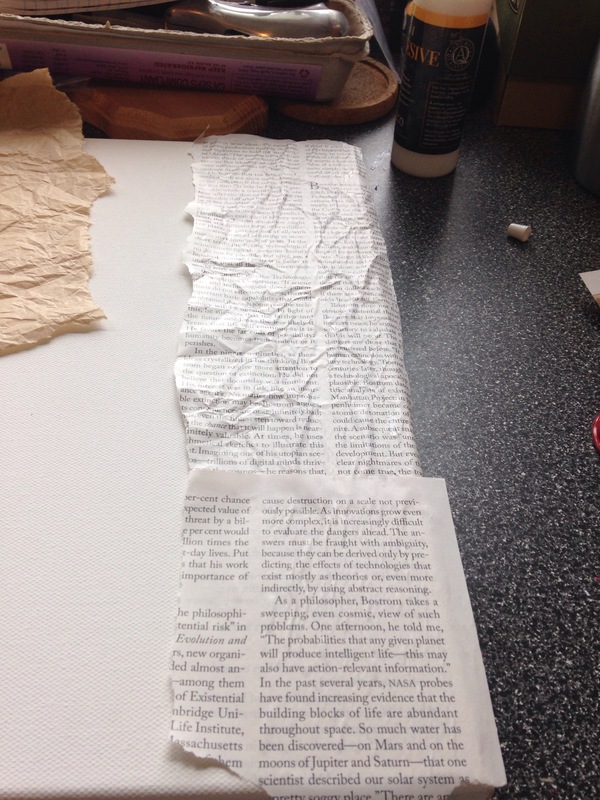 To create the texture, I glued crumpled tissue paper, making sure it was not too smooth. Next, I painted over the tissue with acrylic paint. Then, added some oil pastels to add texture and visual interest to the rich browns. 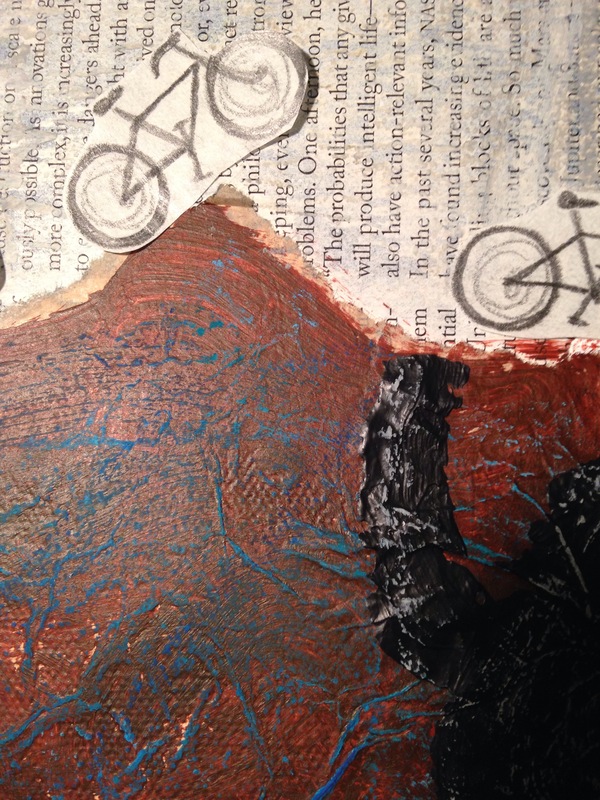 Lastly, I added collaged items – pencil drawn bicycles parading along, buried classic cars, and a boulder or two.